North Koreans go to the polls Sunday for an election in which there can be only one winner. 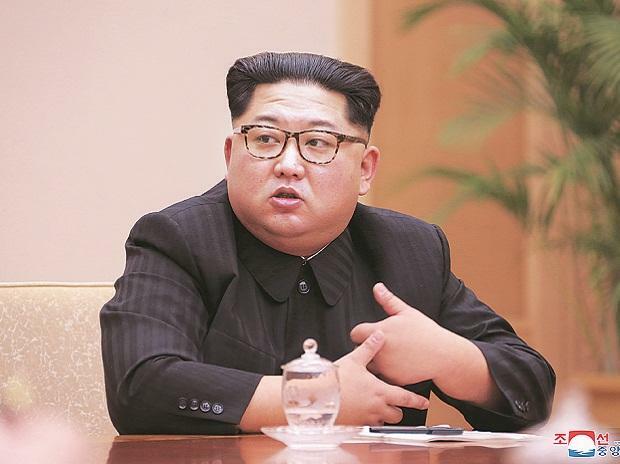 Leader Kim Jong Un's ruling Workers' Party has an iron grip on the Democratic People's Republic of Korea, as the isolated, nuclear-armed country is officially known. But every five years it holds an election for the rubber stamp legislature, known as the Supreme People's Assembly. And in keeping with one of Pyongyang's most enduring slogans -- "Single-minded unity" -- there is only one approved name on each of the ballot papers. Voters have the opportunity to cross it out before casting their ballot, but in practice that is unknown. Turnout last time was 99.97 per cent, according to the official KCNA news agency -- only those who were abroad or "working in oceans" did not take part. And the vote was 100 per cent in favour of the named candidates. "We regard all the people in our country as one family so we will unite with one mind and we will vote for the agreed candidate," Socialist Women's Union official Song Yang Ran, 57, told AFP ahead of this year's poll. Ordinary North Koreans always express total support for the authorities when speaking to foreign media. "Our system is the best," Song said when asked her opinion of elections that have several names on the ballot paper. "We acknowledge no one but the Supreme Leader," she added, referring to Kim Jong Un. "And we will hold the respected Marshal in high esteem forever." With a total absence of electoral competition, analysts say the vote is held largely as a political rite to enable the authorities to claim a mandate from the people. It was the result of "established institutional inertia and a need to legitimise the government by simulating democratic procedure", said Andrei Lankov of Korea Risk Group. Soviet-style Communist states had a long tradition of holding general elections, he said, even if the ruling party ignored its own rules about holding regular congresses -- something the North skipped for more than 30 years. "North Korea is just emulating all other Communist states," he said. "The early Communists sincerely believed that they were producing a democracy the world had never seen. So they needed elections and it became a very important part of self-legitimisation." The last significant government of a major country to dispense with elections altogether was Nazi Germany, he pointed out. The North is divided into constituencies for the vote -- there were 686 at the last election in 2014, when Kim stood in Mount Paektu, a dormant volcano on the border with China revered as the spiritual birthplace of the Korean people. He received a 100 per cent turnout and 100 per cent in favour according to KCNA. Some of the seats are allocated to two minor parties, the Korean Social Democratic Party and the Chondoist Chongdu Party, which has its roots in a 20th century Korean religious movement. They are both in a formal alliance with the ruling party and analysts and diplomats say they exist largely on paper, with only small central offices maintained for propaganda purposes. Even so, participation in the poll, like other "obligatory rituals" in the North, does reinforce loyalty to the government and social unity, Lankov said, "because humans love symbolism". In an article headlined "Superior Election System of DPRK", KCNA said the vote was an important occasion "displaying the solidity and invincibility of the socialist system in which the leader, the party and the masses form a harmonious whole".